Testel commenced operations in 1995 to provide specialist electrical safety testing and support services. With a client base covering an excess of 15,000 sites, our database is currently managing well over 3,000,000 separate records. 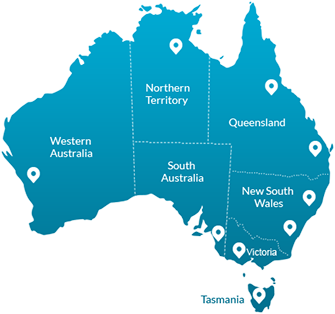 Testel services all states in Australia, with specialists working in Tasmania. The cost structure and service dates are based upon the location of the site. Tasmanian metropolitan sites are serviced all year round. Generally, no travel costs will apply. We travel to country or regional centres on a country run in Tasmania. Most regional centres are visited on a 3-monthly basis. A country run generally consists of servicing multiple sites over a 3-week period. Travel costs are shared proportionally amongst participant sites.